One of the most exciting and talked about artists in the UK last year was the all-girl post-punk outfit, Savages. The London quartet released their debut single in June of 2012 featuring the tracks “Husbands” and “Flying To Berlin” (read our review). The 7” single, released on singer Jehnny Beth’s own label Pop Noire Records, quickly sold out several pressings. On September 30, 2012 the London quartet followed up the single with a 5-song live EP entitled ‘I Am Here’, which captured the rawness, energy and spirit of their music – warts and all. Savages and Pop Noire Records have since signed a deal with Matador Records to team up for the release of the band’s debut album, ‘Silence Yourself,’ which will be released on 6 May 2013 (May 7 in North America). The album will feature new recordings of the single ‘Husbands’ as well as ‘I Am Here’ and ‘City’s Full’, which were both first heard on the aforementioned ‘I Am Here’ EP. This week a brand new song from the upcoming album entitled “She Will” emerged online. As we’ve stated previously in our reviews of Savages, it’s almost impossible not to mention ‘The Scream’ era Siouxsie and The Banshees or Au-Pairs when listening to the band. In fact, vocally Jehnny Beth sounds like a 2013 incarnation of Siouxsie herself. This is not to discredit Savages at all. Comparisons aside, Savages are a breath of fresh air in a world that’s overpopulated with banal music. “She Will” is immediately gripping. Its verses are dark and brooding, bolstered together and driven by a melodic bass line backed by a tasty dance-punk beat. The verses quickly build in tension leading to a visceral, anti-chorus of sorts made up of squealing guitars, cymbal-chokes and Jehnny Beth shouting “she will” over and over. The song’s rawness, urgency and energy are undeniable but don’t be fooled – their songsmarts are well in tact. 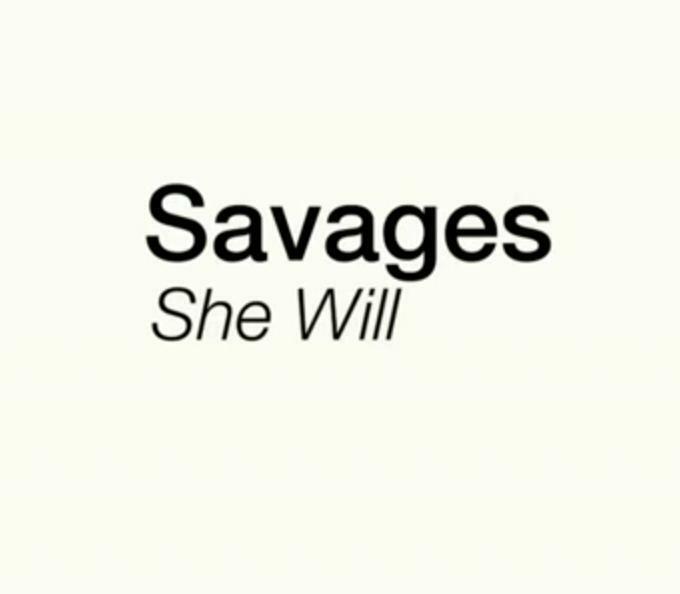 “She Will” is but a sound of what should be one the most exciting albums for 2013. Savages’ debut album ‘Silence Yourself’ will be released on 6th May 2013. Pre-order ‘Silence Yourself’ now.